If you still believe that menus are designed just to display the food items available in your restaurant, you might be wrong. Menus are a kind of silent salesmen which play a vital role in attaining a strong customer base. The way you place the food items, the color contrast, image selection, prices, and graphics can force the customers to place more orders from your restaurant. As the competition in the food business is becoming even stiffer, it becomes necessary that your restaurant should deliver something unique enough to attract the customers towards your services. Isn't it? You simply can't assume yourself about what customers are expecting from you, which food item he/she likes, which services he/she doesn't like, you need to dive deeper and get a clear idea about your customers' need. Rather than making self-assumptions, it's time to understand the customer's psychology and get an idea about what the customer is expecting from you. Getting psychological tricks will let you understand your customers in a far much better way and help you in making more sales in return. So, here are a few techniques which can let you attain more happy and satisfied customers based on their psychology. Know your audience: The top method to judge your customers is to know who your audience is and how they think. So, simply pick up your POS and check the past records of your customer's order history, which food items do they order, how often do they order. Quick analysis: Before you begin, identify who your customers are. Their geographical locations, their likings, how frequently they order, their age group, and other necessary things. 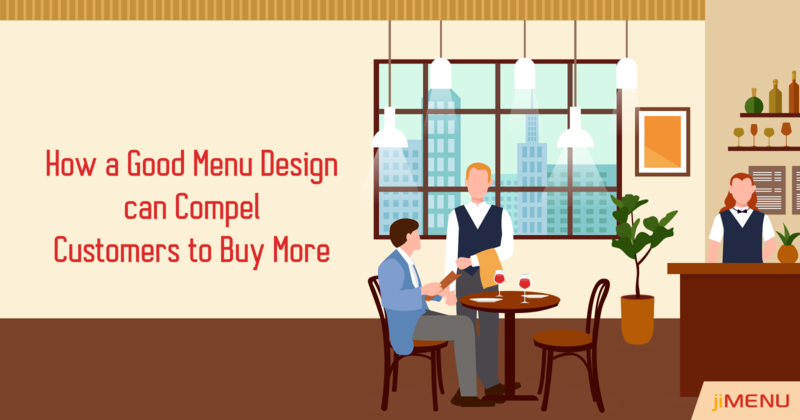 Once you get a clear idea about this, you can easily step forward to design a proper menu for your restaurant. Psychology of colors: Colors leave a powerful impact on your customer's mind. Your choice of menu colors is going to decide how people are going to think about your food and restaurant. Like in summers, you can go for cool colors including blue, orange color to stimulate hunger, and so on. Psychology of images: If you simply line up all the food items on your menu list, you are on the wrong side. No one prefers boring and lengthy menus, try to add some attractive and appealing images of your food items which will present a refreshing view of your menu. Adding powerful images also helps in convincing the customers to order more from your restaurant. Limit your options: Offering numerous options in every food category is going to confuse or stress the customers while making the choice. Hence, they'll end up making repeated order. So, you need to limit your food options to make the menu clear and easy for the customers. Some bonus tricks for you! While you plan to work upon the customer's psychology, you simply can't ignore the fact that customers start reading the menu from the right side i.e. the price list. Here you need to play a smart act! You simply can't line up the price list with a dotted line along the food items, rather you must display the price under the food item. Moreover, you must keep in mind that the price difference you maintain between the exclusive dishes and ordinary dishes must be nearby so that the customer prefers to order the exclusive items. Want to get more tricks about food business or planning to switch to a digital menu POS system? You can rely on us. jiMenu POS system lets you run restaurant operations easily and accurately over the tablet and enhances your customer's experience quickly. Have any queries? Get in touch with us and get assistance from our experts!